Wireless inductive charging could help popularise electric vehicles (EVs) by making it quicker and easier to top up the battery. If the technology could be installed into roads, it might even be possible to charge EVs as they’re driving, a process known as dynamic charging. 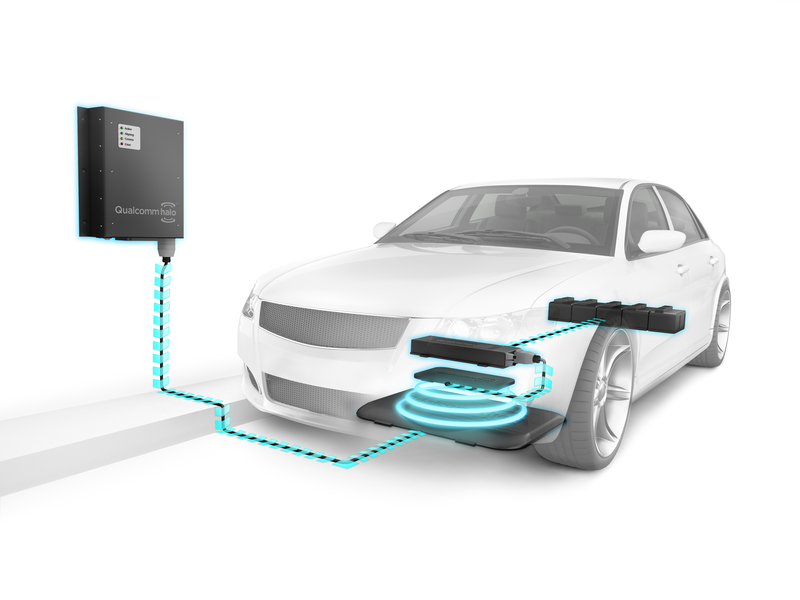 The system creates a localised electromagnetic field around a charging pad, which is activated when an electric vehicle with a corresponding pad is positioned above it. The field induces a current in the receiving pad, supplying current that recharges the battery. The technology is still in its infancy and there are plenty of questions remaining over how it will work. We put some of those queries suggested by readers to our panel of experts involved in developing wireless charging. Peter Stolte, automotive business development director for Bombardier’s Primove wireless charging technology, which is being rolled out at several test sites in Europe for dynamic charging with electric buses. Joe Barrett, senior director of marketing at Qualcomm Europe, which is trialling its Halo technology in London with partners including Renualt, Delta Motorsport and taxi firm Addison Lee. Dr Anthony Thomson, vice president of business development at Qualcomm, who has been involved in commercialising the technology since it was spun out of the University of Auckland 10 years ago. Angus Lyon, chief engineer of electric drivetrains at Drayson Racing Technologies (DRT), which is working with Qualcomm to develop wireless charging for the upcoming Formula E electric motor racing series. Why do we need wireless charging? The big OEMs [original equipment manufacturers] are not investing so much anymore in complete battery electric vehicles but more into the combination of electric with combustion engines. The problem is, Toyota has reported that with their plug-in hybrids people don’t use the cables to charge the batteries because they have the combustion engine on board and they would rather go to the petrol station. So now everybody is going for automatic charging. What is the efficiency of energy transfer compared with cable-connected charging? The efficiency of Qualcomm Halo WEVC technology is comparable to conductive charging systems at similar power ratings. The industry target is for a commercial WEVC system to be 90% efficient and above. A very high quality conductive charging system could have efficiency figures in the mid-nineties due to losses in isolating and control circuitry, components, connectors and cabling. However, some conductive charging systems are reported to have losses around 15% or more. It is accurate to say that conductive charging will usually be 1 or 2% more efficient than wireless. As power increases say from 3.3kW to 6.6kW and up to 20kW the charging efficiency can increase since the standing losses are the same for all power levels. For example, the 7kW system on the Rolls Royce Phantom 102EX Experimental Electric Vehicle was shown to operate at over 90%. How quickly can wireless technology charge an average EV battery? Charging times between wireless and plug-in charging are the same as it depends on the power rating of the charging system. For example the Qualcomm Halo WEVC systems at 3.3kW and 7kW are suitable for home charging, 7kW is ideal for public charging and 20kW for fast charging. If a 27kW battery was depleted to 6kW then it would need 21kW of charge. Charge time is then a simple case of dividing the energy required by the amount of power transferred into the system. So at 3.3kW the charge time would be around six and a half hours. The charge time would reduce to a little over three hours if the power level was 6.6kW. How do you prevent the electromagnetic field from causing electrical interference or potentially even impacting human health? It’s how you deal with the field and contain it that’s the all-important thing. So we’ve spent many years perfecting the magnetic structure of the pads, which shapes a particular magnetic field very well and it’s very contained. We also put a lot into understanding where the field goes. You really can’t tell where they’re going to go in the car until you put them on the car for an assessment. So we go to a lot of effort to model each vehicle that we’re putting the system on and put that into a big simulation to predict where the field flows, where the stray field is, what the levels all around the car are. And then we test it in real life and that way we can understand fully where the field is going. From that step we can look at making modifications to the pad architecture to contain the field as a last step before we put it on the vehicle. What might be the implications of having many chargers in one location such as a car park? If you’ve got a stray field heading into another stray field, unless you simulated it you wouldn’t know whether it was going to be additive or nullifying. If the fields were out of phase, for example, you would get a zeroing out effect. I would think that when we put these things into car parks next to each other they’d be far enough away. At the edge of the car the field is very, very minimal. 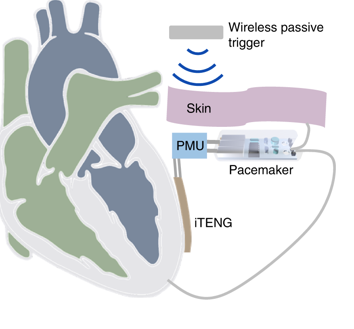 How vulnerable are people with pacemakers or other electronic implants that would be affected by electromagnetic fields and how do you protect them? That’s another area in which we do a lot of simulation and testing. We’ve also done a lot of work in understanding from the manufacturers of medical devices what sort of limits they build to and shield for. There’s not a set of rules that says wireless charging must meet certain regulations for pacemakers. So one of our roles is to help the regulators understand and develop those guidelines. At the moment what we’ve done is talk to manufacturers – I think there’s over 1000 different models on the planet – to understand what they build to and we shield for that. How much does the technology currently cost to manufacture and how much do you envisage selling it for? Cost of the WEVC components will be dependent on the specification required by each auto manufacturer. Our business model is to license our WEVC technology to auto industry suppliers to ensure a competitive and dynamic market for wireless charging. These suppliers will set the market price for the Base Charging Unit (BCU) and the Vehicle Charging Unit (VCU) equipment. We believe a vibrant and competitive supplier market will ensure competitive pricing so that wireless charging will eventually be comparable to conductive charging. How do you hope to develop the technology further? Once static WEVC charging has been introduced we see development moving on to semi-dynamic charging. This is slow moving charging that is suitable for vehicles like taxis that are moving slowly to the front of the taxi queue. Charging would be activated once the vehicle is roughly aligned above each pad with pads turning on then off as the taxi move over them. A conductive plug-in system would be totally unworkable for this kind of EV charging. Semi-dynamic charging could also be implemented at traffic lights or road junctions where vehicles are slow moving or stationary for a few minutes. The next step from semi-dynamic is Dynamic Electric Vehicle charging (DEVC) technology, which involves charging a vehicle ‘on the move’ through inductive charging technology embedded into the roads. 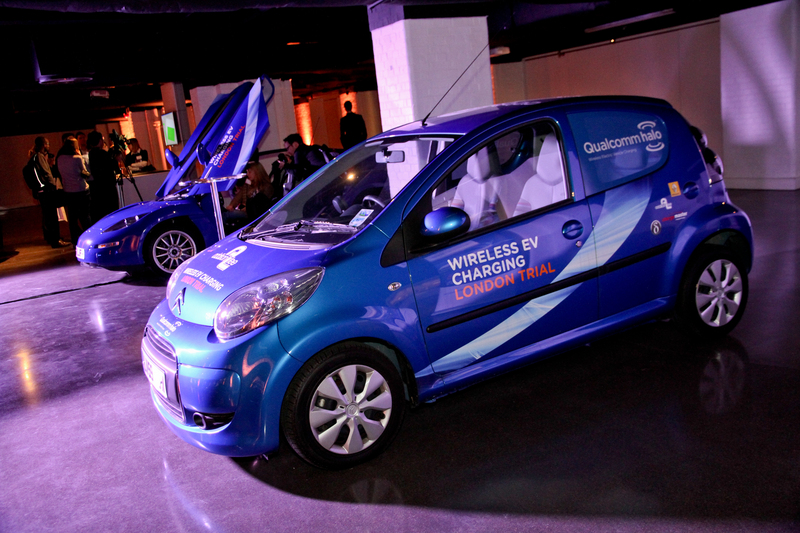 Dynamic charging is currently a Qualcomm R&D project and the next step will be to build a full-scale test track. This will provide us with experience of the deployment criteria needed and test our unique DEVC design. How do you envisage the technology might be employed for dynamic charging? There will always be a need for stationary charging because sit around a lot. But very definitely the idea of being able to pick up charge as you drive between two cities, which would remove the range anxiety, is a big vision for us. Keeping the energy in the grid, reducing battery size and making the cars cheaper and lighter is a much better proposition for people. I would think initially dedicated lanes on trunk roads and ring roads would work. But there’s no reason why we couldn’t roll infrastructure out to smaller roads and key routes people are using to commute. I guess it will reveal itself as we go on. For dynamic charging to be successful it will need global, regional, country and governmental initiatives to ensure that the right business models are possible for companies to invest in the network and infrastructure. This could be viewed as a similar business to the mobile phone industry where “service” is delivered via a number of competing companies and the drivers can decide which charging lane they drive in while paying as they charge or via a flat monthly charging fee. The possibility of putting conductive solutions into the ground on a dynamic basis are quite complicated, especially the safety aspects when you put high voltage into the ground. For trams, what we see right now is where general public spending has gone back a bit worldwide and there are no real investors who want to test this technology by putting in a few million we have a problem with finding the first test site. For buses, dynamic charging is still very expensive, even compared with large batteries. On the other hand, if you look at certain high-frequency bus routes and you combine a charging station with somewhere many buses stay for a few minutes then suddenly you get a TCO [total cost of ownership] that is really interesting. For cars, it’s difficult to envision a business model. I don’t see a real stakeholder for this type of infrastructure. But the EU is sponsoring a very wide research programme for dynamic charging on roads. I understand Germany is foreseeing the need to replace a lot of road infrastructure in the next 20 years and they are looking for a future-safe way to invest in new infrastructure. We always thought the nearest possibility would be a combined dynamic and static bus charging system where you have a dynamic element on parts of a bus route where the bus needs to go up a hill and needs a boost. But the technology is still not cheap enough yet so we have to find ways to make it cheaper. Why would wireless charging be suitable for electric motor racing? Wireless charging offers a very convenient, high power and safe solution that can be easily integrated into racing cars. This will simplify the charging procedures necessary when these cars are taken racing and improve safety due to the lack of loose cables and exposed connectors within the pits. It also offers some very exciting possibilities for the future in the form of dynamic wireless charging which will allow the cars to charge whilst racing around the track and thus result in a reduced or even eliminated need to stop the cars for recharging. What are the particular challenges or opportunities wireless charging technology presents for EV racing car builders? The main challenges are the integration of the system into the car mechanically as well as increasing the charging power while reducing the weight of the on-car components. While mechanical integration can be achieved with a basic ‘bolt on’ installation, motorsport offers the potential to develop systems that are much more integrated into the chassis design than current solutions. Likewise raising the power levels without corresponding weight and bulk increases requires the technology and efficiency to evolve. Motorsport applications will push the development rapidly, forcing the mechanical and materials development of the system resulting in lighter, efficient and highly reliable systems. Are there any plans to implement the technology into the upcoming Formula E electric motor-racing series? Qualcomm is the official Drayson Racing Formula E Team launch partner and Drayson were the first team to announce they would be entering the FIA Formula E championship. 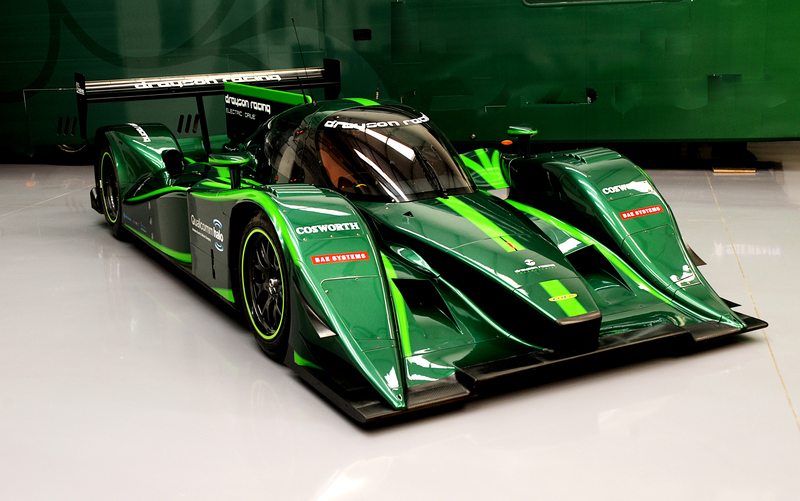 Drayson Racing has been evaluating a specially developed, 20kW, high power Qualcomm Halo wireless charging system on the Drayson B12/69EV prototype electric racing car over the past 6 months. We are partnering with Drayson to bring both WEVC and DEVC to Formula E racing in order to demonstrate the effectiveness of the technology for charging high performance electric vehicles. We’re looking longer term at how we can fold the dynamic charging into motor racing so ultimately you could end up with races that could be same length as traditional racing, say a full 90 minutes rather than the suggested format Formula E has at the moment, which is two cars swapped half way. While it’s great that Formula E is going on and helps the public understand electric vehicles aren’t little noddy cars, the idea that they could charge continuously round a track and there’s no impediment to charging is a really strong message. Recent work on exposure to electromagnetic fields is showing that some poeple react negatively as field strengths hundreds to thousands of times lower than some current standards. Are the sustems going to be able to meet much lower level requirements if these are really needed (my bet is that they are)? I have driven a leased all electric Citroen C Zero since November 2012 and with careful driving can get 75 miles on a single charge with frugal use of the heater. Looking forward to increasing my range to the manufacturers 90 miles maximum when the warmer weather arrives. From my experience we electric car users desperately need clusters of high rate charging points around the country so that these can be used as stepping stones to extend the range of our electric vehicles. My car can take a high power charge that enables the battery to be charged to 80% full in half an hour. It can also take a 10 amp charge from a domestic 13 amp socket which allows charging at home from empty in 6 to 8 hours. I think inductive charging is a great idea as it takes away the safety and security problems (trip hazards, interference, theft, electric shock) of electric cables when cars are charged on the street. (I have leased my car for three years and if I lose the 10 amp charger and cable it will cost me £1000 when the car is returned in three years time! It also refutes the claim that we have to wait for improved battery energy storage developments before electric cars can become commonplace. If there are plenty of convenient to use high rate charging points then existing batteries have ample capacity particularly in a small country like the UK. I think the dynamic inductive charging system using buried cables in the road is an excellent development particularly if the charging rate can be sufficiently high so as to eliminate the need for home charging. 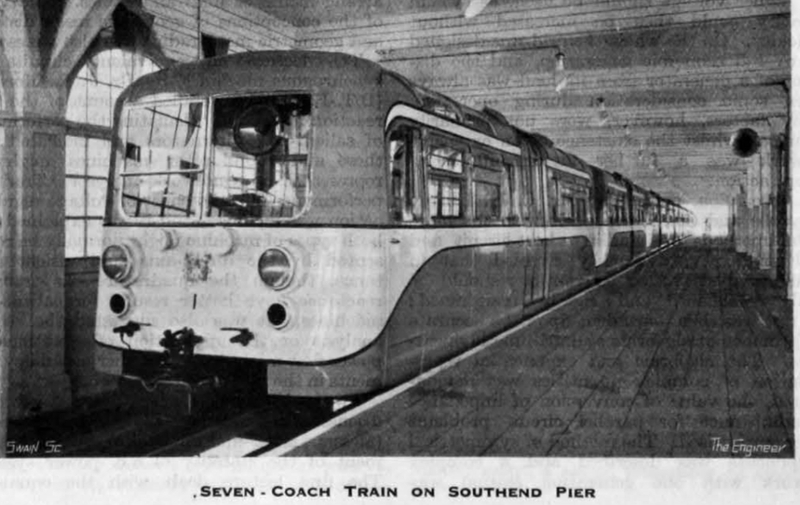 This would enable commuters to charge their vehicles whilst travelling to and from work on motorways/trunk roads fitted with the dynamic charging system and to still have enough capacity to be able to drive under their own power from the system to their home and back to the system again the next day without recharging. At a stroke this would take away one of the oft heard arguments for not being able to use an electric car which is lack of off street parking. The biggest problem I have had since owning my electric car is that our other car, a ten year old diesel, is now hardly ever used and as a result the battery goes flat! I had to use it this week to take my daughter to the airport which was just out of electric car range and it hurt when I put £100 of diesel in the tank. That same sum based on charging my electric car with cheap rate electricity at night would take my electric car at least 7500 miles! The sooner wireless induction charging points become widely available the better. Retrofitting of induction charging pads to existing electric vehicles, or to existing roadworth petrol/diesel vehicle that have been converted to electric power could become an attractive business opportunity. The technology was developed by Prof John Boys and his team at Auckland University in New Zealand. He has worked on it for many years. A few years ago I encouraged him to develop a charger for electric cars. who pays for the charge at the traffic lights? the driver will want to be sure that he is not being overcharged (ho ho) so metering, vehicle logging and driver indexing are also needed. Please take this chance to limit speeds in built-up areas, as one of the victims of cars crashing into houses, and a friend of people who have been killed on the roads let’s have a rethink about the right to speed at the same time as the energy for the car and the means of delivering it. I live near Milton Keynes and it was proposed that Electric buses used inductive charging to allow a high percentage of full charge in c.10 minutes at a nominated ‘charging area’ during driver handover. It was revealed after questioning that extremely high currents would be needed to provide this rapid charge. Despite assurances that interlocks would prevent the charging area being’on’ should a pedestrian accidentally cross the area I was, and am, concerned about safety with such high currents in use. Someone better than me at maths can do the sums: volts x amps x time etc, to arrive at current densities to be of practical use for charging cars and the dangers of such processes. We cook using electromagnetic induction and that is what this is, buried in a road! I dug up the response to my questions about the MK Electric bus proposal…..This was from ‘Ed’. 120,000 watts. equivalent to c.3000 street lights. all in one place to charge a bus. Safe? perhaps not. Imagine the power needed to charge many cars on the move. It borders on the ridiculous. The dynamic inductive charging (in motion) cannot be implemented at large scale because of the enormous cost and huge electromagnetic fields incompatible with the living beings. A more realistic approach is now proposed by Siemens and Scania which will develop an entire electrified highway in California for heavy vehicles. An even simpler solution is presented in the site http://www.hybrid-engine-hope.com/hybrid_transport_system where you can find few solutions developed also for passenger cars. Seems to me that the case for electric vehicles is still not clear cut. My brother is investigating one but he hears that the batteries are leased and will probably only last about 4-5 years. What impact does that have on the environment? If the batteries are rare metals (Li) then the impact on places such as Bolivia is emnormous. Seems to me that we are still blinkered and only shifting the problems of electric cars elsewhere. Is it possible for an Electric motorcycles or an Electric trikes to be recharged using inductive charging ? Charging on the move is the only current possibility for making electric vehicles anything other than a rich man’s tax dodge and smoke and mirrors for the ignorant. Even those in the trade will tell you what a laugh electric cars are. I drive a leaf, and I too am concerned with range. however I do not think the EV is the future, we are trading one source of CO2 for another. I cant imagine the use of energy/ waste of energy required for moving induction charging. Seems the cost would be too high. If you are creating magnetic fields/ electrically, then why not just make magnetic drive vehicles, like mag lift trains. The biggest problem with Electricity in general is the amount of waste, and lack of storage. We have no way of storing the electricity we make now, so most of it isn’t used or is lost in transmission from generation to end user. It depresses me to see glaring errors in engineering units in these articles. Power and energy should not be confused. We already have robotic milking machines which dock quite successfully with the relevant parts of a not particularly cooperative cow. 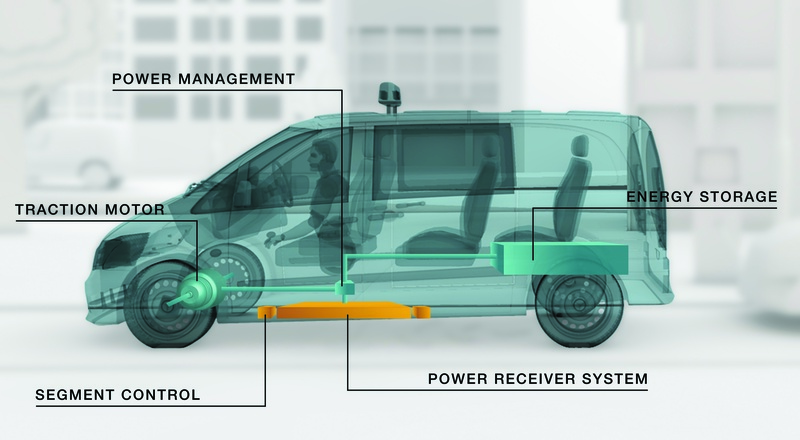 How about devising a standardized connector to be fitted underneath an electric vehicle , and a ground mounted robotic connector arm fitted to the recharging power source? This should be relatively simple, and avoid problems of, large em fields damaging ecu’s, hearing aids, car radios, and generally clogging up the em spectrum. 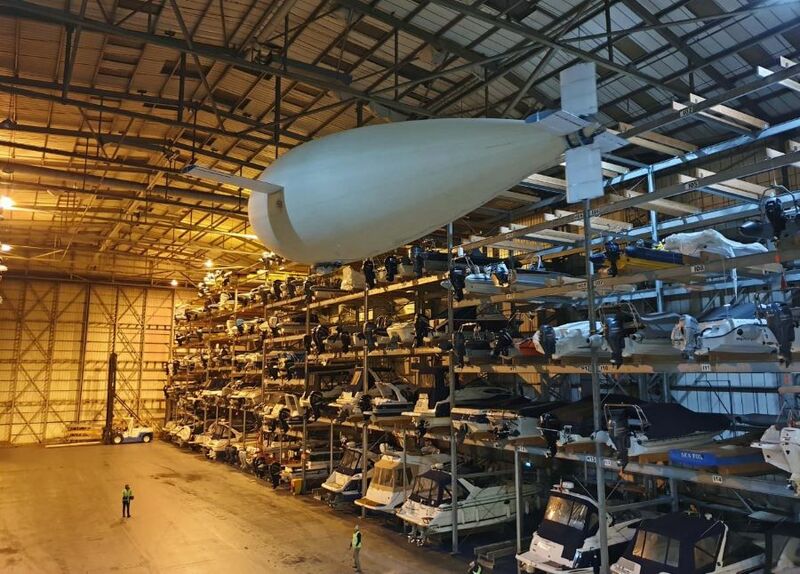 Considering the fuss over a hundred watts of mobile phone mast radiation, the proposals for multiple kilowatt level sources could be worrying. What is the considered electric frequency of operation? The standards of 50 or 60 Hz have drawbacks from possible hasards and negative influence on health. A DC supply along the road will make possible a free choice of operation frequency. Has this advantage been evaluated?